We, at Miss Maid, can rejuvenate any furniture and return its fresh look, feel and smell thanks to our specialized upholstery cleaning methodology. We utilize industry-leading hot water extracting (high-pressure) and steaming equipment that can deliver superior results in not time so our customers can finally reunite with their furniture. 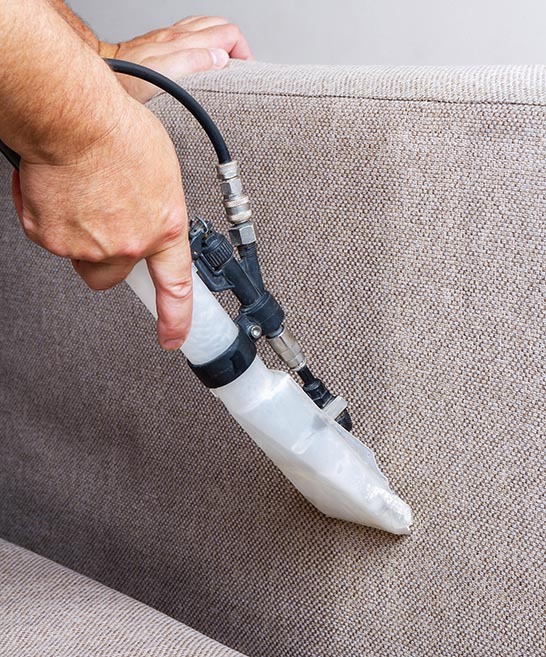 Our trained professionals have years of specialized training and upholstery cleaning experience and can revitalize your furniture for a fresh, healthier and longer lasting result. We can clean any kind of furniture, all types of synthetic and natural fibers and any construction of fabrics. While upholstered furniture is not designed to last a lifetime, regular preventive care can increase the overall quality of the furniture and extend its lifespan. Upholstered furniture is like a sponge accumulating a variety of substances like dirt, dust, grime, skin, hair and natural oil from the human body which can make its appearance unattractive or saturate it with unpleasant odors. If left unattended for a prolonged time period it will become extremely difficult to remove stains and odors. Book your Upholstery Cleaning Westchester NY, Sofa Cleaning Service or Mattress Cleaning Service with Miss Maid today and enjoy superior quality and customer experience. Our Upholstery Cleaning Westchester NY service may need on-site assessment that we will gladly facilitate at no cost to you. Before providing you a quote we will need to ensure that we bring the appropriate equipment depending on the type of the upholstery’s fibers and fabrics. Once at your premises, we will follow strictly our cleaning procedure utilizing commercial-grade upholstery cleaning equipment. Our equipment injects steam under high pressure so it penetrates the fibers without wetting the backside, preserving its delicate structures and extracting any excess water and cleaning solutions. We will then apply fabric protector and deodorize your furniture as a final touch. You can also opt for Miss Maid’s additional cleaning services that our customers frequently request together with their upholstery cleaning. These include windows cleaning, carpet and rug specialized cleaning, appliances deep cleaning, and driveway and patio power wash. Work with us today and enjoy our great services and savings. Q: HOW LONG WILL IT TAKES FOR MY UPHOLSTERY TO DRY OUT COMPLETELY? A: We use specialized fast dry upholstery extractors that are designed to provide increased suction capacity (water lift). As a result, the most common fabrics are usually dry within approximately couple of hours. Some other types such as the ones made out of wool or cotton will require longer hours. However, this also depends on the level of soiling and ventilation. Q: WHAT KIND OF FABRICS CAN BE CLEANED? A: We clean almost any type of upholstery including fine fabrics and naturals. Contact us and we can confirm the type of upholstery for you. We simply use the best upholstery cleaning equipment and materials so we can clean all upholstery varieties, fibers and textiles in the most efficient, effective and seamless way possible. Our professionally trained cleaning technicians are fully qualified, cross-trained and trustworthy to handle any upholstery cleaning project and deliver the utmost customer satisfaction. We are thankful for the trust our clients place with us to deliver them with the utmost upholstery cleaning experience. 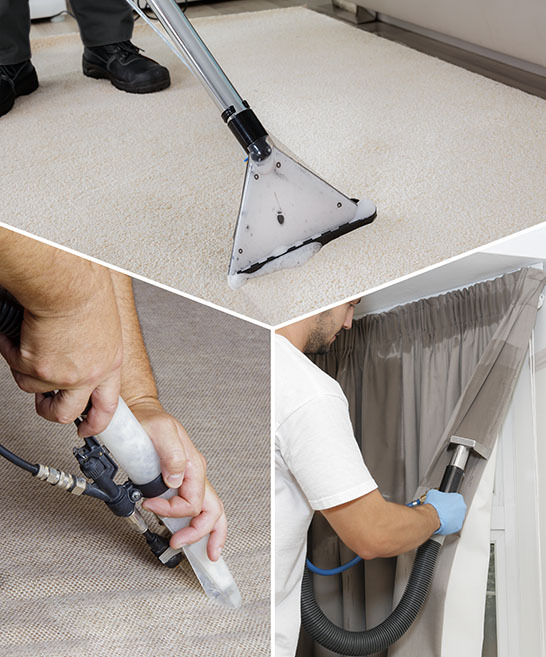 All our products and services are guaranteed by Miss Maid’s quality guarantee seal.